We have just been able to take a few days away from Broome to go birding and camping to the north-east of here. There is one road out of Broome and so off we went last Sunday to have a little adventure. We reached the Roebuck Roadhouse and headed on straight ahead towards Darwin, but with no intention of going that far! The Hoopoe had left the area at the end of December last year and the caravan park was overflowing with travellers enjoying “winter in the north”. We birded at several spots along the way, but I will cover those areas in upcoming weeks and will talk about the one birding place which actually gets a mention in the tourist leaflets and even has a sign pointing towards it. On the outskirts of the small town of Derby, which is approximately 225kms north east of Broome and has some of the biggest tides in Australia, there is a sign on your right. This is a BROWN sign pointing to your left-how appropriate-this is the sign for the Derby Poo Ponds! 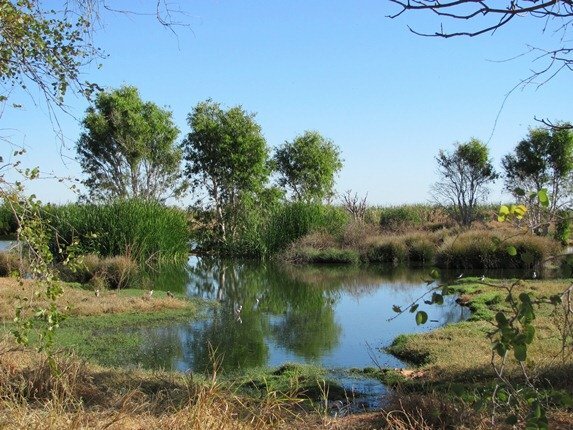 They politely call it the Waste Water Wetlands, which is actually only fair as they have gone beyond the settling ponds & also have an overflow area for the birdlife. 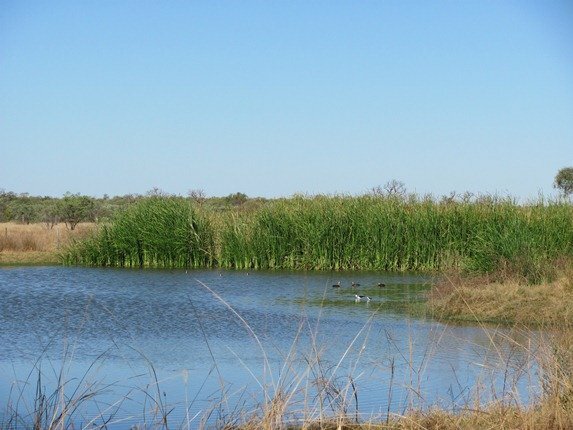 A short drive in takes you firstly to the ponds and then to the wetland area. Some of the first birds we came across were rather odd looking and I will let you grab your Australian Field Guides and guess what they are…. 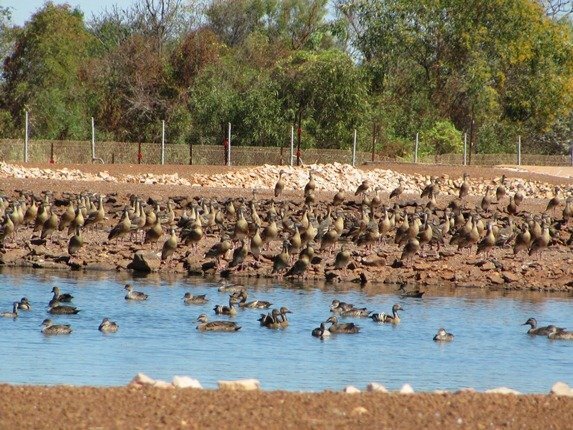 As we drove along the fence line we saw some of the most common ducks for Poo Ponds in Broome-Plumed Whistling-Ducks. They were content to let us drive slowly by and I took a few photographs through the fence as they are a lot more nervous if you attempt to get closer on foot. There were numerous Royal Spoonbills amongst the ducks relaxing on the stone banks around the settling ponds. 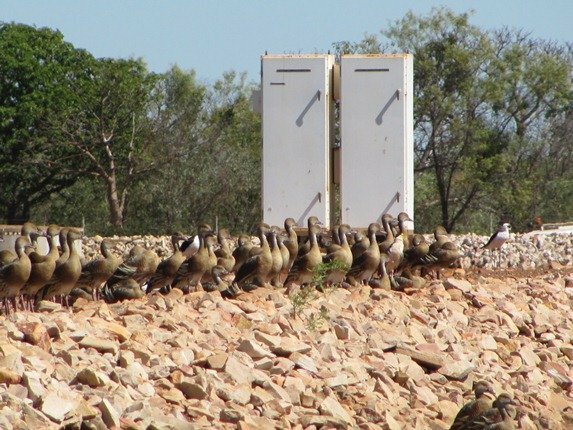 As we drove further long I was able to get out of the vehicle and there were some lovely flocks of birds enjoying the Poo Ponds. There were 6 Red-necked Avocet on Sunday afternoon, but only 1 when we returned on Monday morning. There were numerous Black-winged Stilt amongst the Plumed Whistling-Ducks and Black Kites filled the surrounding sky. 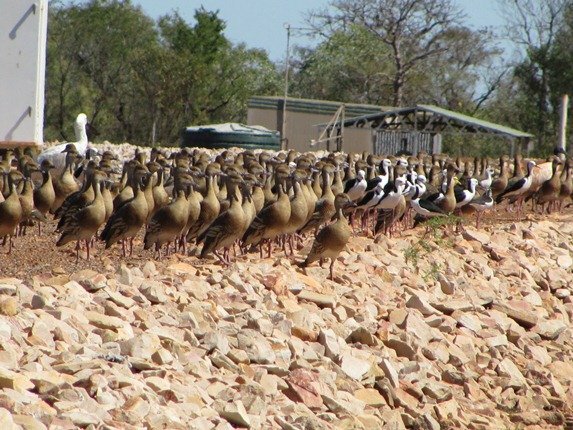 You continue around the ponds until you come to a track to your left and you can pull up and observe the birdlife at the wetland area. There are seats available and you can also wander around the fence line. 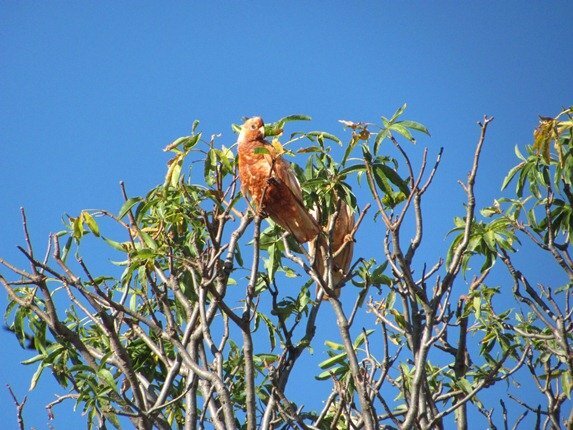 In recent years the plants have grown and different birds have arrived to take up residence. Since our last visit two years ago there has been an increase in the reed beds and the arrival of the Purple Swamphen. 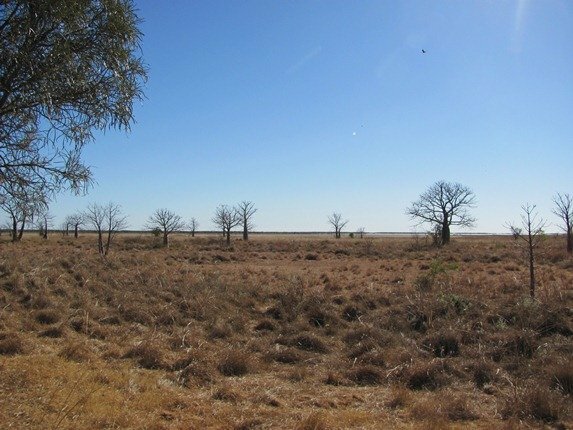 As you walk around the wetland area you come out into an area which looks across the mudflats and there are numerous boab trees. These trees are all part of the “true Kimberley” and they really do come in all shapes and sizes. If they look like they belong in Africa, it’s because they are believed to have originated from the baobab tree many years ago. 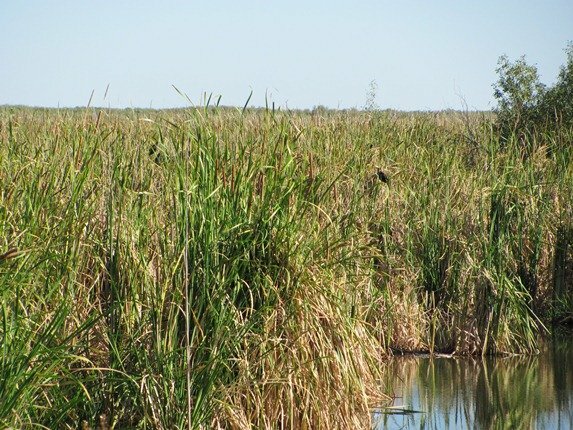 The wetland is only small, but picturesque in the afternoon light and the birdlife surely appreciates it. 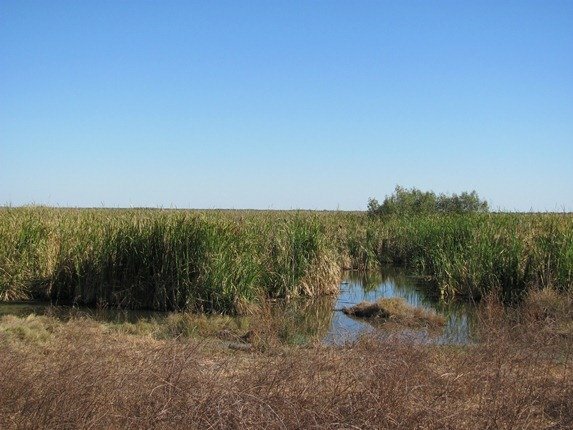 Even if you only have a spare 30 minutes it is worth the drive in to see this little wetland area and you will easily observe at least two dozen bird species. Any guesses on the mystery birds? 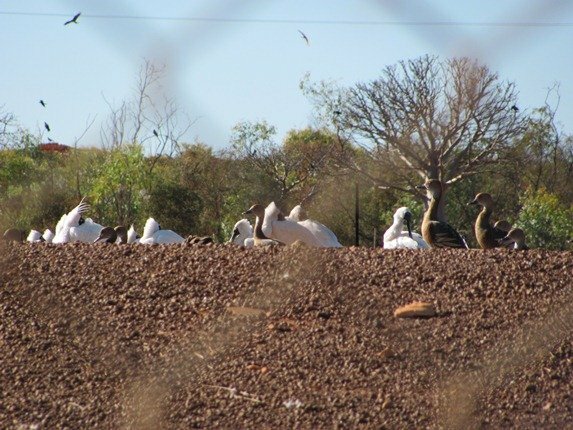 Are those corellas or sulphur-crested cockatoos that’ve got muddy? It’s great that the folks in Derby placed signs and seats welcoming birders to their Poo Ponds! 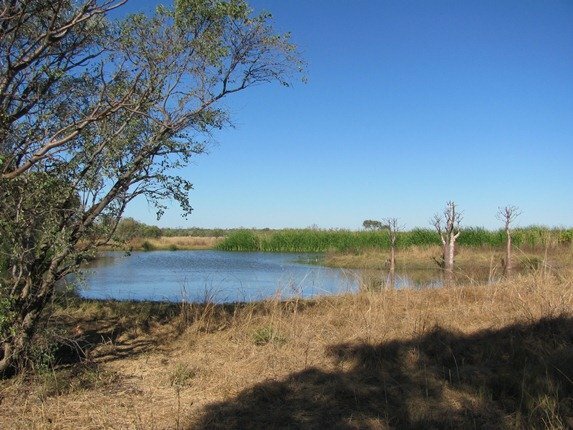 Thanks for your photos of the surrounding area, too, including the Boab trees, so readers far away (like me) can picture the environment.